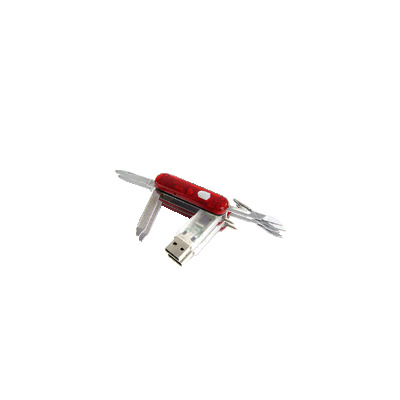 Successfully Added Mini Gadget Pocket Knife with USB Flash -4GB to your Shopping Cart. Finally Macgyvers indispensable side kick comes of age- a feature packed mini swiss army knife with a built in USB flash drive. Functions include a pen, red LED tactical light, 1.4 inch blade, nail file, flat tip screwdriver, scissors, lanyard anchor and of course the flash drive itself. Perfect as a key chain accessory; carry your data around safely, use the lamp to find your keys in the dark and the file to do your nails why your sitting in traffic. A classic gift with a geek twist, buy today at direct from China wholesale prices with no MOQ and fast secure worldwide shipping..